The Dublin leather winter riding gloves are a super warm riding glove with leather outer and Thinsulate lining. 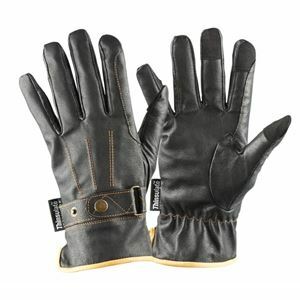 These unisex riding gloves feature contrast stitching, adjustable wrist closure with press stud and they are also touchscreen compatible so you don't have to take your gloves off and get your hands cold to answer a call. Ideal for regular riding on cold days.